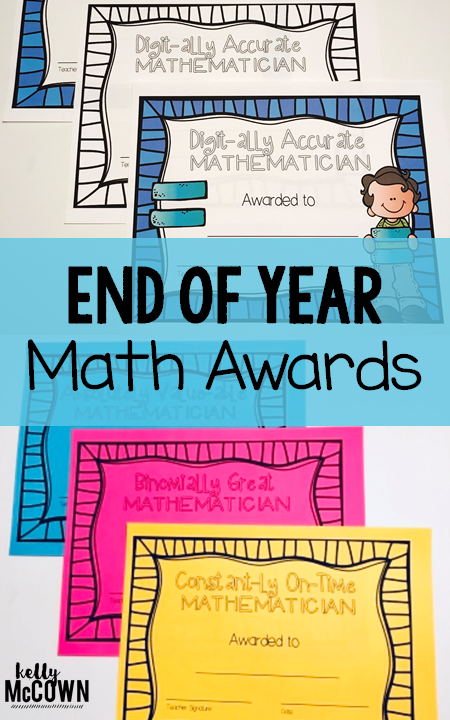 Are you preparing for end of year awards? Do you want Math themed awards? 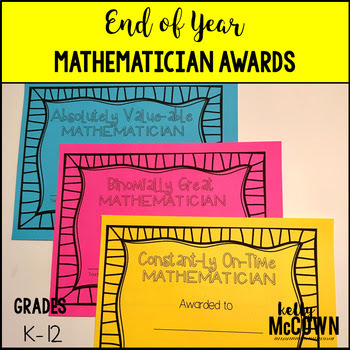 These NO PREP Math Mathematician Awards are designed to celebrate every student in your classroom! Included are 26 unique award certificates to hand out to kids as awards or superlatives toward the end of the year. This is an ABC version of End of Year Math Awards, so there is an award for every letter of the alphabet. You can have students vote on these or choose them yourself. Students LOVE awards and being recognized for their achievement! This is a great way to wrap up the End of Year in your classroom or at an assembly. These awards are NO PREP for Print & Go! There are three different types of awards included: Colored, Colored with High Quality Clipart, and Black and White version. -Easy for Print & GO! Just write the student's name on the award. These awards are perfect to give and include all types of learners. Everyone gets a math award for their accomplishments for the year. Awards are helpful in boosting morale, confidence, and work ethic for students. I give out awards quarterly to students to continue the momentum through the year and establish a rapport with the students. I hope your students enjoy them too!